Would you like to surf in California? If you answered yes and you are passionate about surfing world, surely you’ve ever dreamed of renting a van and surfing the best waves in California. Surfing in California is more than a sport: it’s a culture and a way of life. Everyone gather in California with the sun, long beaches… and surf. California is a surfing paradise: we can surf in almost any beach on the coast throughout the year. The best way to explore California coast is driving along the Pacific Highway (CA-1) that leads from San Francisco to San Diego or vice versa, about 800 miles of a spectacular scenic drive along the coast. The Pacific Highway will accompany us to the best beaches in California, and it is also a highly recommended route if you only want to have the sightseeing tour. The most famous surfing areas in California are San Francisco, Santa Cruz, Santa Barbara, Los Angeles, Orange County and San Diego. Each area has its own characteristics but what is clear is that we will never surf alone: you will always find people surfing on the beach. As close as we get to San Diego as better weather and sunshine we will find, and although the water temperature is generally cold, maybe in the summer months until October we can surf in short suit. Let’s start our surfing California beach tour from San Francisco and we will recommend some of the most iconic beaches for surfing in California. The first mandatory stop is at Half Moon Bay, here we find one of the legendary beaches, Maverick, with giant waves that can reach 15 meters of height. Not this stretch of the sea will be empty only when there are surf championships but a visit there worth only to enjoy the stunning waves. Further south we reach Santa Cruz area, considered one of the meccas of surfing and place of birth of many of the leading commercial brands of this sport. 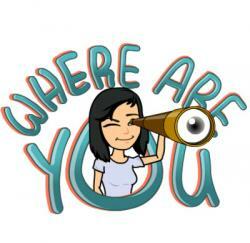 The area is fully developed for tourism and we will find the best hotels in Santa Cruz along the coast. Santa Cruz is also famous due to its wild nightlife. In Santa Cruz, we have beaches of all kinds: from Capitolia Beach or Cowell’s, for less skilled surfers, to Steamer Lane or Natural Bridges, with large and unpredictable waves. Other good beaches for surfing in Santa Cruz are The Hook and Moss Landing. On the other side of Monterey Bay, right next to Pebble Beach and Carmel we can find other of the beaches worth of a visit: Ghost Tree, another beach with giant waves that we can only contemplate from the sand unless we are an expert surfer. 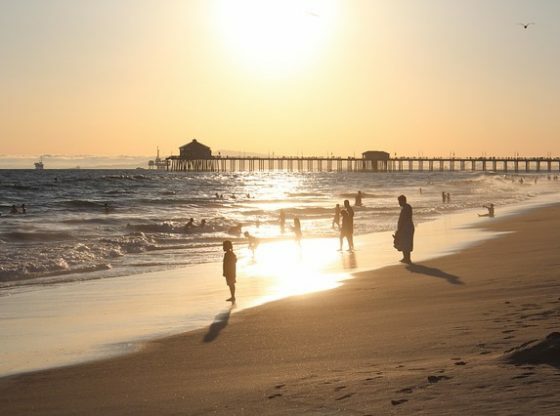 From Santa Barbara in Southern California (SoCal) is where we will have more feeling of being in California: the temperature begins to rise, the sun is more intense and everything is much more related to the world of surfing. 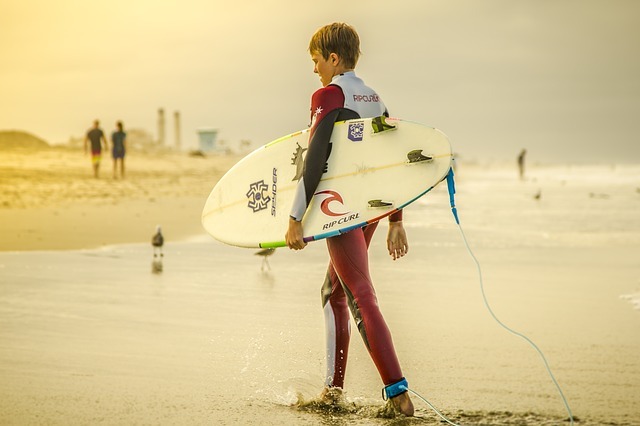 In Santa Barbara, we find the best surf schools for all levels. The best beaches in Santa Barbara are located in the southern area: Rincon Beach, internationally famous offers undoubtedly the best waves of California, very crowded especially in the summer. Other great surfing beaches in Santa Barbara are Carpinteria and Jalama. In the neighbouring county of Ventura, we will also find good waves, like on the beach of C street. As close as we get to Los Angeles more crowded, we will find the beaches, and the famous beach of Malibu is no exception, although it is considered a perfect wave for practice, small and very long, we always find it full of surfers. The views and atmosphere you breathe are exceptional. We recommend surfing at Malibu during full moon nights, a real treat. Topanga Beach, nearby, is a small bay with a wave that I am sure you will like. In the South of Los Angeles, in Orange County area we’ll find great waves in almost every town: Huntington Beach, known as Surf City, Laguna Beach, Newport Beach, Dana Point, San Clemente… In Huntington Beach is where you will find the best hotels in California to stay, a premier destination for surfers, with a very lively nightlife. The beach is very large and we can easily see where the waves break, all of the high quality with a perfect environment for a full day of surfing. A little further south you get to Newport Beach, where the most famous beach is The Wedge, with giant waves and quite dangerous. Trestles in San Clemete is considered one of the best waves in California: to get there you should walk about 30 minutes, but definitely worth it. 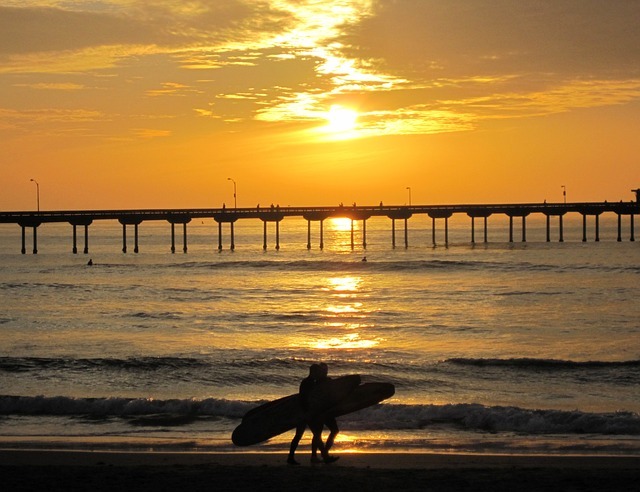 Other great beaches in San Clemente are T-Street, San Onofre and North Beach. And if you still have energies to surf, San Diego offers many beaches for surfing: close to the city is Mission Beach, where we will also find the Wave House. Other popular beaches in San Diego and La Jolla are Swami’s, Cardiff, Del Mar, Windansea, La Loma and do not forget the best wave of San Diego in Blacks Beach San Diego. Although surfing in California is available throughout the year, the best time is in late September and October, the sun still shines with great intensity, the temperatures are still hot and the Pacific waves begin to move with more bravery. And if you like surfing California, I’m sure you’ll like also surf in Costa Rica!